The tower that rises in via Pighin is the only evidence of the towers that marked the walls in medieval times. Originally the tower opened onto the inside of the city as it served only a defensive purposes and not housing. The interior was divided into some floors in wood which were connected by ladders. In the eighteenth century, it lost all its military significance and, with the addition of the missing wall, a private home was established within the structure. The building was abandoned for decades in the last century, until the recent restoration has made it inhabitable once again. The current configuration of the building dates from the XVII century; records show that in 1608 Bishop Girolamo Porcia ordered reconstruction of the foundations of the central building, making provisions for the ground floor to have a portico with low arches; the two side buildings delimiting the courtyard are probably the result of adaptations of preexisting buildings. Also in the seventeenth century Bishop Carlo Labia restored and decorated the palazzo by having a double curved staircase constructed that obstructing some arches of the portico as well as the main entrance on the road, the smaller ones, on the side, are of the new arrangement of the fence designed by the engineer Dino Stori in 1929. In 1942 the Bishopric moved to new premises and the seventeenth-century building was sold to the Bank of Italy that allocates it for residential use. 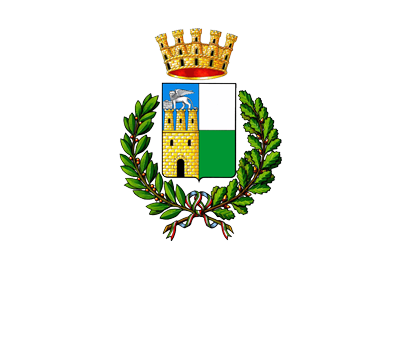 In 1978 the Bank transfers it to the City of Rovigo. 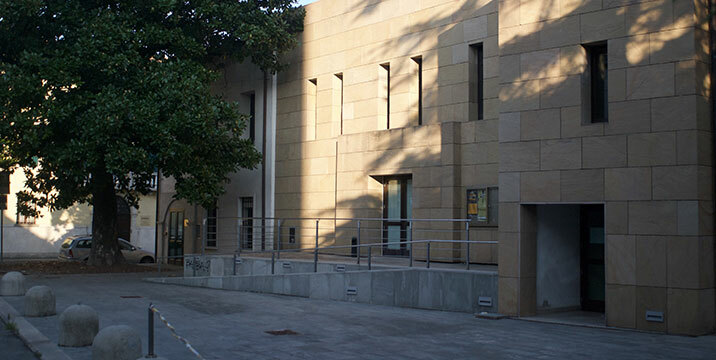 In 1981 some changes are made to allow the use of the building as a middle school and the Conservatory of Rovigo. With these changes, only the chapel on the first floor, now used as the school offices, has maintained the appearance attributable to the reconstruction wanted by Bishop Arnaldo Speroni degli Alvarotti of 1788. The fountain and outdoor staircase were rebuilt based the preexisting model in 1986. The name comes from the ancient church of St. Agostino, annexed to the convent of the Eremiti, which once stood on the spot, torn down in 1772 in order to build the new diocesan Seminary. Not far away stood the Portello, small door, demolished in 1824, which as its name denotes, had to be a door of a smaller size. No documents have emerged able to date the construction of the Gate, while the renovation work in 1713 is certain, which gave the gate its characteristic termination with opposing curves. 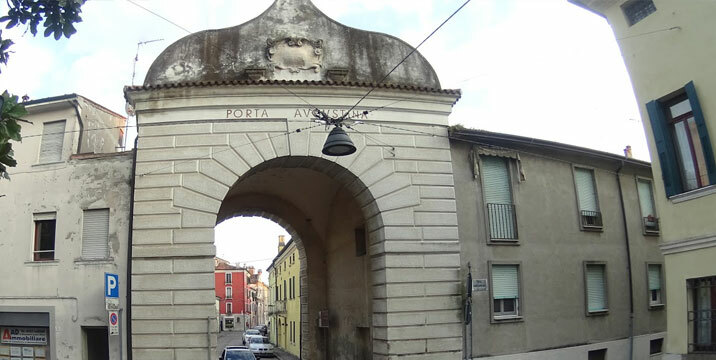 In 1983, during a new restoration, the ancient inscription over the inner facade, now illegible “Porta Divi Augustini”, was replaced with the current “Porta Augustina”. 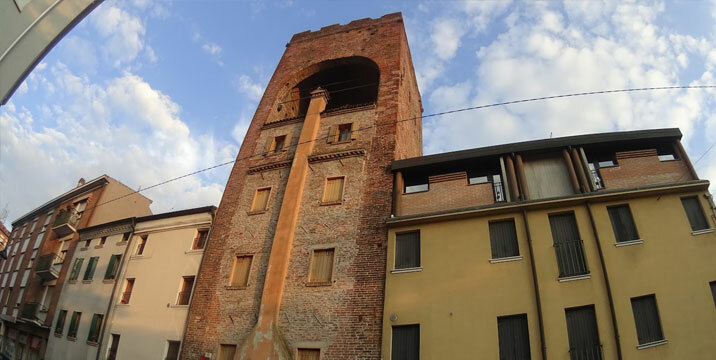 The ancient city wall was characterised by numerous gates, towers with battlements and turrets overlooking the city, among them San Bortolo where the last remaining tower, Torre Pighin, can be admired. The church of Sant’Agostino was built in the late 1500s to complete the convent of the Eremitani Fathers of St. Agostino of the Congregation of Monte Ortone, already in existance in 1528. The convent was demolished two centuries later to make room for the new diocesan seminary and on that occasion the church was re-designed, maintaining its original structure with a single nave and simple harmonious lines that characterised it. Today, thanks to a recent restoration that has improved the acoustics, it is used as a music and concert space.